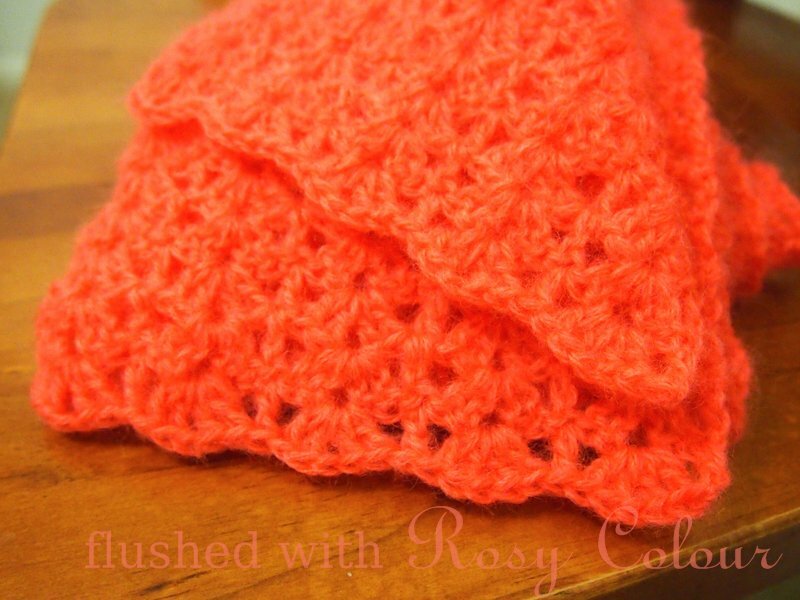 This scarf is made from some brushed pure wool my mother gave me in a brilliant shade of coral. In fact, the colour is so stunning my camera can't really handle it! 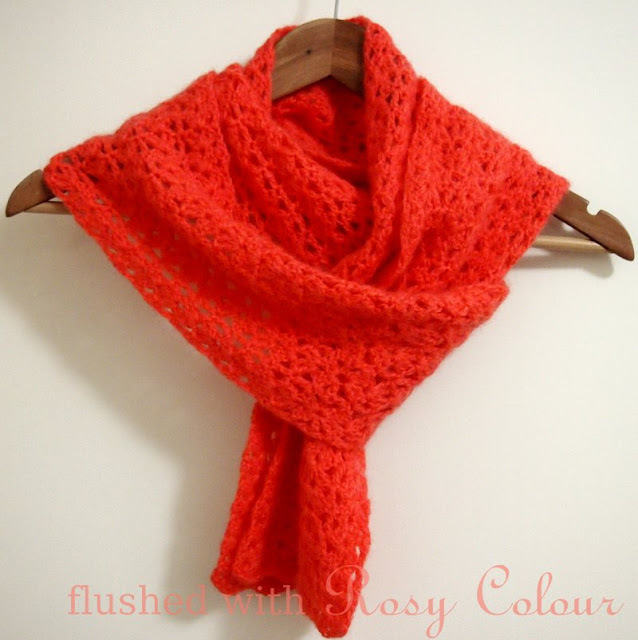 I really enjoyed making this scarf, the brushed wool is so soft and lovely, it was very relaxing to do! The pattern I used is just a simple one of (sk 2 st, 2 dc 2 ch 2 dc, sk 2 st, dc) repeated. I've never read it anywhere, but I guess that's how you write it. This scarf has a center so the ends come out symmetrical. I didn't just start at one end and go all the way to the other. There were 2.5 x 50g balls, so I made one ball go one way, then I started the 2nd ball at the beginning and went the other way. Then I split the last bit and had to guess, luckily it turned out perfectly and I was able to use up all the yarn with none left over. I used a 4.5mm hook, and the scarf turned out quite long at 1.8m. 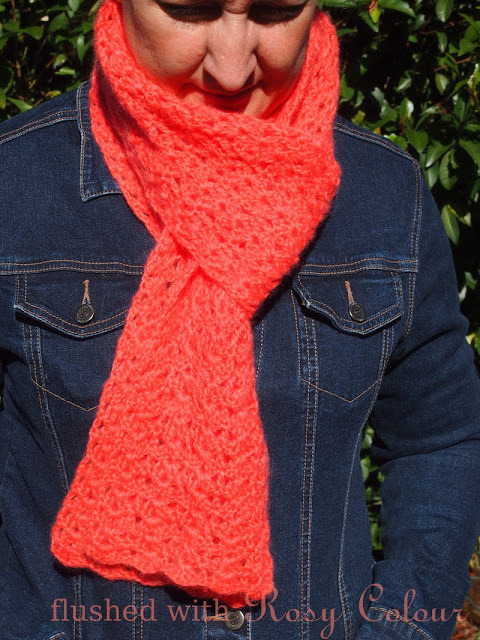 Its long enough to double up and thread the ends through which is a popular way of wearing scarves. I was hoping to sell this scarf because its so lovely in real life, but its just too hard to show with a photo. I wonder what will become of this scarf?